Days are passing by in the blink of an eye, and soon it will be the most-awaited time of the year again. Yes, Oktoberfest will soon crawl around the corner, and like every year, we cannot wait! 2019 will also be a year that you get to see the best dirndl dress trends make headlines, transforming the look of women and drawing the right amount of attention! Whether simple, extravagant, or traditional, Oktoberfest 2019 has so much in store for every Oktoberfest fan. 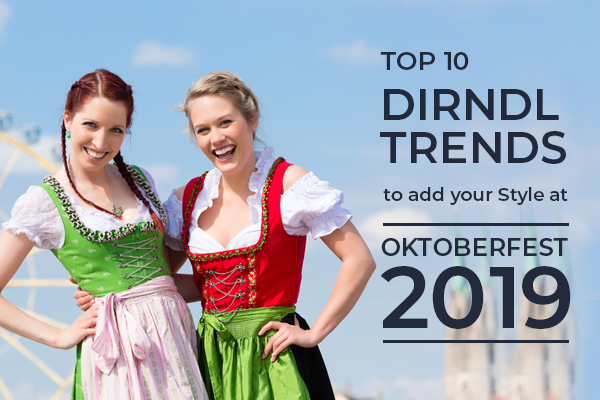 With these dirndl trends, you will be an eye-catcher on Oktoberfest, and other German folk festivals! We would like to guide you on which fabrics, accessories, colors, and cuts will make your dirndl outfit an eye-catcher here. Vintage dirndls always have a unique touch to them. In 2019, you can be sure that women will flaunt these, which are more about satin aprons, traditional floral embroideries, jeweled mieder hooks on the bodice, chains, and ribbons on the bodice to enhance the cleavage, and frill style sleeves on the blouses. At our store, you can find these in unique colors, including red, maroon, pink, blue, and you name it! For several years, women at Oktoberfest have been flaunting high-necked German dirndl. A high-necked bodice has the power to lend a chic silhouette, if carried well. The solution is to choose a high-necked one with a small V-neck. This should flash out some skin and at the same time keep the traditional touch intact. Satin silk aprons always look elegant and give women a modern, yet traditional look at the same time. Next year, get ready to find women flaunting these in an array of colors from Lederhosen Store, including blue, pink, red, green, and so many other bright colors. Of course, you always go for contrasting skirts and bodice to add more glamor to your look. From 2018, and previous years, dirndl blouses remain the talk of the outfit. The classic style follows through every year, where the cotton dirndl blouse stands out. In 2019, get ready to see women carry their elegant look with the same blouses. Made out of 100% cotton, these are available in many cuts, and variations at our store. 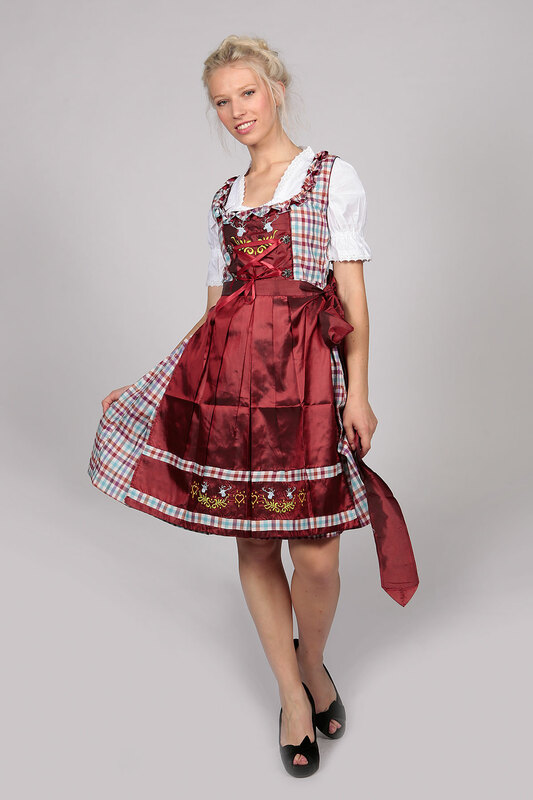 Find the perfect one for your dirndl dress today! Net always looks elegant and gives a classic touch to the complete look of women attending Oktoberfest. In 2019, get ready to see some net aprons steal the spotlight. The fine net will still flash your skirt, giving it a romantic, and playful charm. At our store, you can find so many options featuring unique colors, embroidery, glitters, and more. These are available in different styles and colors, as well as options. Choose from checkered skirts, aprons, and blouses! 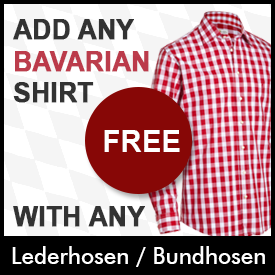 At Lederhosen Store, you will be spoilt for choice because we have these in different fabrics and prints. Some feature chains, embroidery, frills and more designs. In 2019, get ready to see the Oktoberfest dirndl have some touch from the 50’s and 60’s, inspiring designers to create amazing alterations. Get ready to see women showing off more of their arms, wearing the small arm options, which do not require you to wear a blouse underneath. As their name suggests, these aprons feature one side plain, and the other checkered. This gives you the option to choose your preferred style and color to complement your outfit in the best way. Next year, get ready to flaunt these in unique color options from our store. Their bow also features two colors, one plain and one checkered. 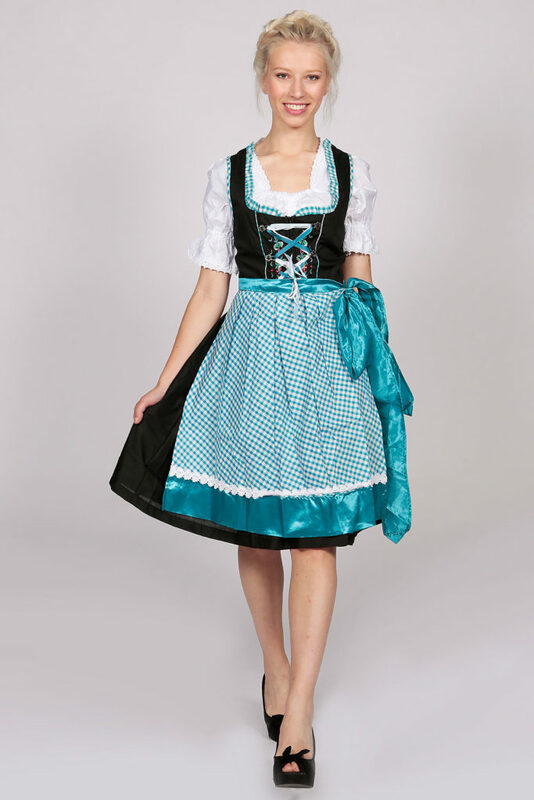 Are you searching for a dirndl that will be perfect for you on all occasions? 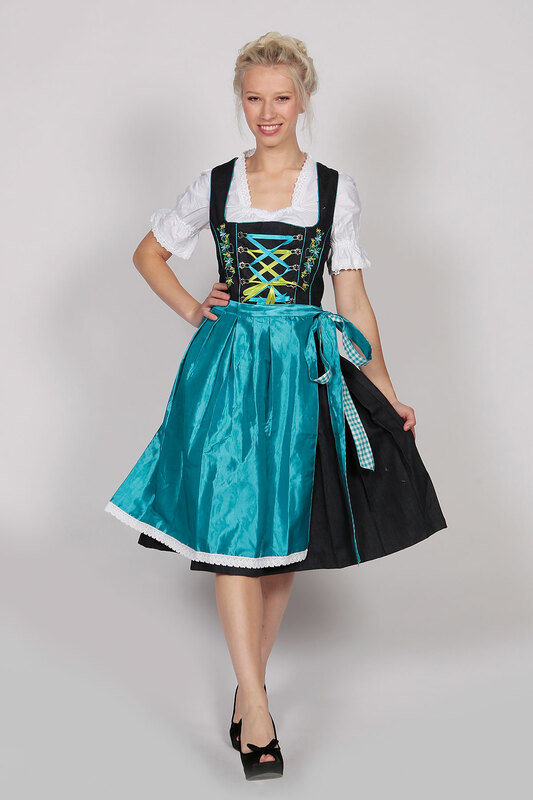 The best choice is to go for a dirndl in solid colors. 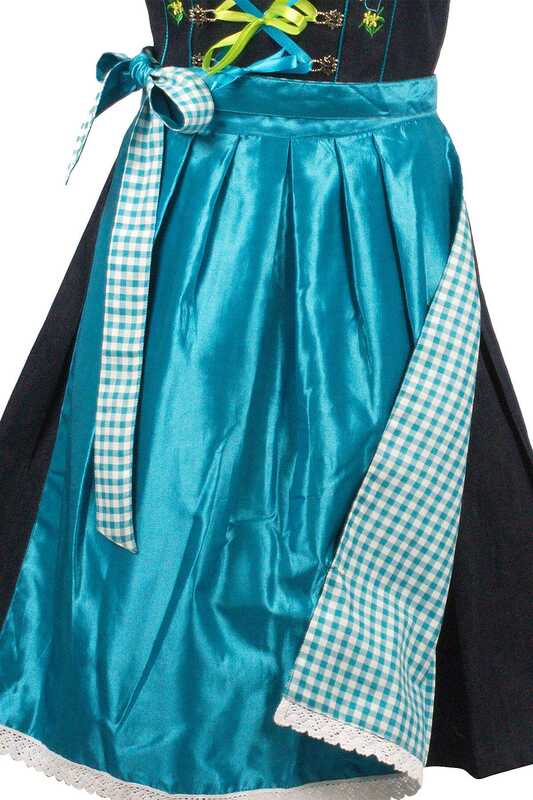 In 2019, plain dirndls will be a common sight, in which the dirndl skirt, dresses, and apron will be in the same color. 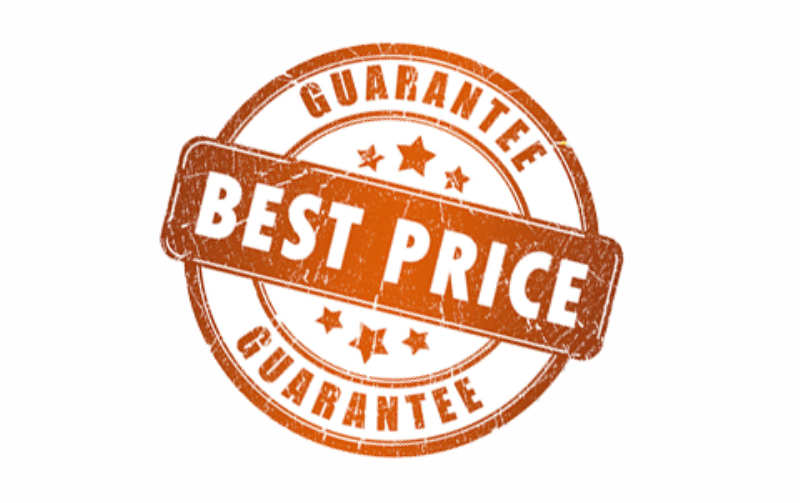 You can go for stylish and creative options because it can add a creative look. Flounces and ruffles always go hand in hand with dirndl dresses, where each one is adorned with these. However, since 2018, this has become a major part of the traditional fashion. From extraordinary trend-setting dirndl to playful girlish styles, dirndl with ruffles and flounces always have a special charm, and 2019 will also be about this awesome charm! For tips on the style options to choose for Oktoberfest 2019, you can explore our collection here to find the latest designs, or simply get in touch with us today! This entry was posted in Lederhosen Store Blog and tagged Drindl Dress.